The TFF-1 is the ultimate ambidextrous tactical folder. We developed this knife for military & law enforcement personnel. This design circumvents fixed-blade restrictions and accommodates tactical operators looking for a space-saving knife carry option. This blade is meant to augment or replace a fixed blade and is built for hard use. The knife handle is all titanium. 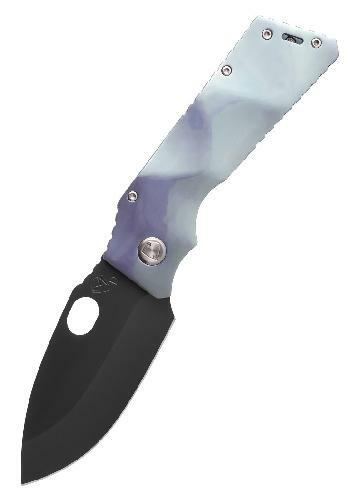 The "Fat Daddy" is a thicker knife for a bigger grip & heavier carry. The blade is meant to be two-hand stowed and unintentional retraction of the blade is nearly impossible.